We believe that art is much more than a predefined, stand-alone product. It’s a human and essential form of expression that is able to mutually connect our souls. ‘Untitled’ is therefore an investigation of the soul behind a work of art. The program explores the various ways to experience art and offers new, and hopefully surprising perspectives or viewpoints on art and the world around us. ‘Untitled’ is an invitation to listen, view, think and contextualize without a predetermined context, meaning or need to interpret. We encourage you to explore what Untitled and the city has to offer, in collaboration with many inspiring partners, completely on your own terms. Centraal Museum and Le Guess Who? present a three-part collaboration during the upcoming festival edition: Colombian producer Lucrecia Dalt composes a special soundtrack for the exhibition ‘De Line Up', which can be heard exclusively during the festival via an audio tour. Furthermore, the installation ‘Black Chords’ by the French artist Saâdane Afif, in which thirteen guitars mechanically produce a chord progression, will be presented in the Nicolaïkerk. Additionally, two animated films by visual artist Robbie Cornelissen will be screened in TivoliVredenburg. Besides being an improvising musician, ‘Lover of Mother Universe’ Lonnie Holley is also an acclaimed visual artist, creating works of great detail with objects found on the street. During Le Guess Who?, he leads an Utrecht city tour, in which Holley displays the many unique ways of how he experiences his direct living environment. 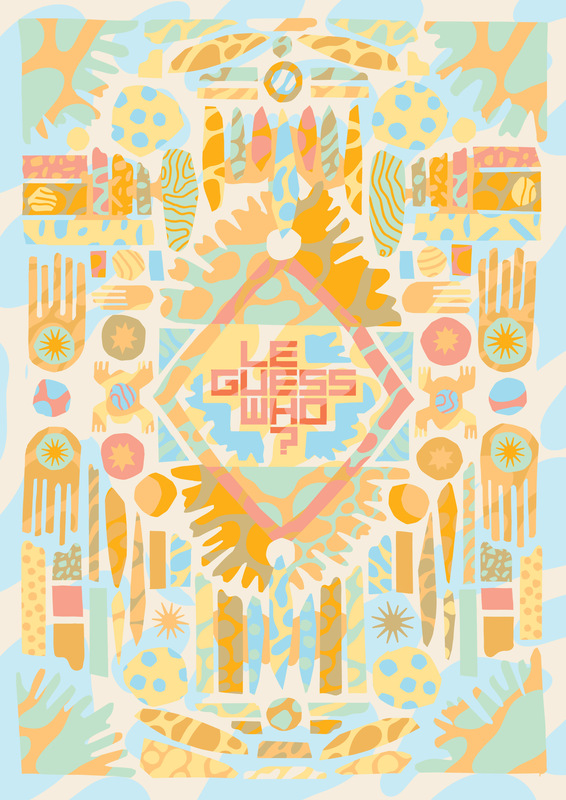 In collaboration with Casco Art Institute, Le Guess Who? presents a conversation between transgender artist Beverly Glenn-Copeland and feminist activist Hodan Warsame, about a young generation of changemakers, compassionate action and encouraging a ‘one world family’ perspective. Festival artists Kembra Pfhaler and Johanna Constantine of the Future Feminism collective will discuss their thoughts on the subjugation of women and the earth and the redefinition of societal roles of women and men in Kytopia. Untitled is organized and curated in collaboration with, and with special thanks to: BAK – basis for contemporary art, Casco Art Institute: Working for the Commons, Centraal Museum, Chasing Reels, Filmtheater ’t Hoogt, Future Feminism, Kapitaal, Leiden International Film Festival, Foundation De Pastoe Fabriek, and RVNG Intl.